The headline of this blog is in all caps for a reason. I’m shouting! I’m looking forward to the day when bloggers, reporters, website developers, media representatives, and marketing professionals stop referring to the process of caring for parents in terms of “role reversal.” And somewhere along the line, someone thought that the statement, “parenting your parent” was a catchy phrase. Those words also need to go by the wayside. You fulfill myriad parent-care responsibilities in your family-caregiver role: you assist with doctor visits; you run errands; you make endless phone calls; you help keep the house in order; you make day-to-day financial and care decisions. But nowhere in performing these and other eldercare-related tasks should your actions be interpreted as taking on the role of parenting your parent. If you disagree with what I am saying, you will learn the hard way that copping a role-reversal attitude can touch off a downward spiral in the communication process between you and your parents, and may possibly lead to a breakdown in the relationship altogether — a serious loss that may not be recoverable when all is said and done. How do you know if you are operating in this destructive mindset? For starters, listen to your tone of voice. Another clue involves making demands of your parents, rather than asking questions. Giving off a heavy sigh at the beginning of a sentence; standing over them and yelling while they are sitting; crossing your arms; and pointing your finger as you talk are also dead giveaways. 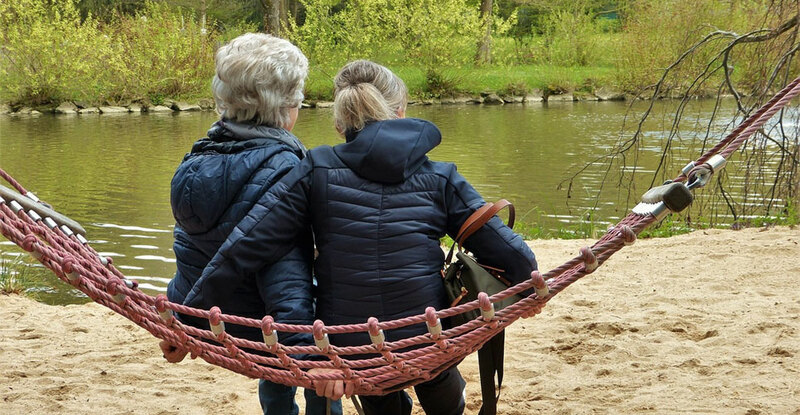 Even if you are granted power of attorney to make decisions in your parents’ behalf, this legal responsibility and automatic authority does not give you the right to behave badly. As our parents age, they will lean on us for help in new and different ways. Our job is to facilitate their abilities and encourage them to take full responsibility for their thoughts and actions, including knowing when to ask for help. Family caregiving is not easy. Taking on the job also comes the realization that on some level our parent is no longer the parent they were (or we wish they were). Those days are gone forever, and that’s difficult to accept. No matter what, our parents remain our parents to the very end. Joy Loverde is the author of the best-seller, The Complete Eldercare Planner (Random House, 2009) and Who Will Take Care Of Me When I Am Old? (Da Capo, 2017). Joy’s media credits include the Today Show, CBS Early Show, CNN, and National Public Radio among many others. Joy also serves as a mature-market consultant and spokesperson for manufacturers, corporations, law firms, financial institutions, insurance, associations, healthcare organizations, senior housing, and other members of the fast-growing eldercare industry. Thank you for the very clear distinction between caring for and “parenting” elderly parents. This should be a must read for anyone helping to care for an aging parent. Considering forwarding this to all my adult children!